SOD Technologies began its journey in 2001 with a focus on the development of custom software products and delivery of IT services that incorporate existing and emerging technologies within large organizations. 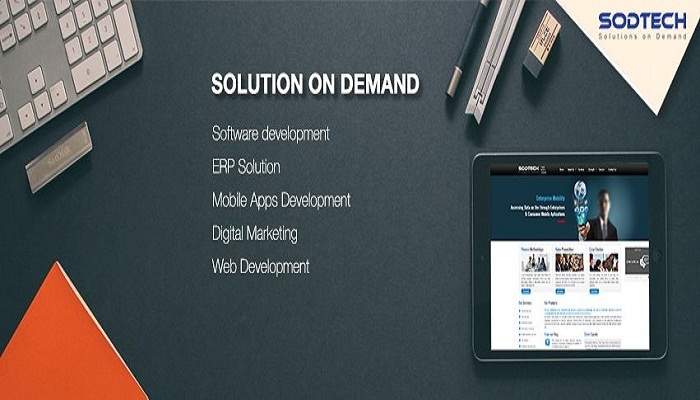 SOD Tech offers end-to-end business solutions that leverage on technology. We deliver solutions for a vibrant environment where business and technology strategies converge. And our approach aims on new ways of business combining IT innovation and adoption while also leveraging an organization’s current IT assets. SODTech’s primary customers are from the offshore. We have a global presence with customers from India, UK, US, Middle East, Europe, Australia etc. SODTech has in its credit result motivated team, working with right technology for right work, committing total quality with precision and high value returns. We have innovation centric Research & Development Department who continuously strive to explore out new technologies to give our clients the best, to witness a high level of satisfaction in them. Document requirements, ensure sign-off and maintain document. Understand technical limitations and dependent systems for effective implementation. Prototype and document as needed and get sign-off on the features.